POLYTROPOS launches two initiatives that will be developed in successive, interrelative phases. The following project outline concerns the first phase. What is Urbanism in the transdisciplinary period? Who and what play urbanistic roles? What new competences are challenged? How can aesthetic means be appropriated in a new way within the urban research discourse and practice? How would a re-activation or appropriation of both the aesthetic and culture-philosophical concept of physiognomy and face reading work in this field? 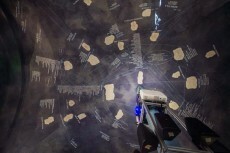 And how can it be of use for new and extended artistic mapping strategies and methods? What would aesthetic mapping techniques look like, how could they be applied on the city in front of the horizon of physiognomy and face? POLYTROPOS is in search for the face of a city and asks if there is the one face or if there are multiple faces, and how these faces can be assembled, joined together and built to one face of a city. Is it a phantom image, a photofit picture? POLYTROPOS views the faces of the districts, reads the city as a face, uses face as a metaphor, as a map while generating other maps that merge to one overall face of the city. 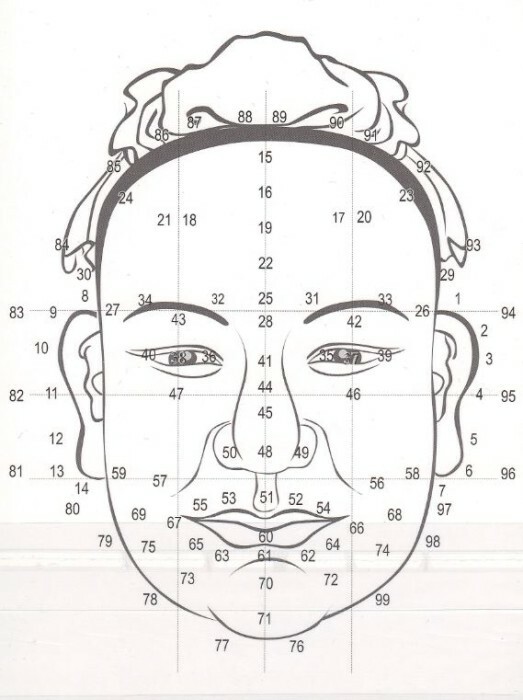 It is an attempt to apply physiognomy on the urban and eventually develop a new theory as aesthetic mapping-practice in the field of urban studies. POLYTROPOS is an aesthetic urban research project with interventionist, exploratory, observing, discursive and educational impact. It refers in its understanding of theory to the etymological root of the Greek word thea, which literally translates in German as “Schau”, or in English as sight or vision. In ancient Greek culture Theoroi were delegates of a city, who were sent as “worldviewers” (Weltschauer) to remote cities and countries. Their practice or work was called theoria. The mission of the theoroi – in POLYTROPOS referred to as scouts – was to travel and to view different places and to collect experiences, knowledge and perceptions about foreign cultures, which they then brought back to their hometowns to create and get an overall view of the world. POLYTROPOS takes this idea seriously and pitches its DADA-tent (a replica of the Cabaret Voltaire Crypta Zurich) at different spaces in Hong Kong and sends out scouts. POLYTROPOS brings together the Hong Kong based French artists Map Office, who are well known for transdisciplinary works in the urban field and especially on the island HK with students from the Theater Departement of the Zurich University of the Arts, students from the School of Design from the HK Polytechnic University, philosophers, DADA and many more disciplines. Map Office’s practice is balanced between research and design. It happens at the intersection between architecture, landscape, environment and technologies. Map Office is a multidisciplinary platform devised by Laurent Gutierrez and Valérie Portefaix This duo of artists/architects has been based in Hong Kong since 1996, working on physical and imaginary territories using varied means of expression including drawing, photography, video, installations, performance, and literary and theoretical texts. Their entire project forms a critique of spatio-temporal anomalies and documents how human beings subvert and appropriate space. Humour, games, and fiction are also part of their approach, in the form of small publications providing a further format for disseminating their work. The traces of the rather process-oriented then results-oriented works as phases and travels is among other qualities one that makes Map Office the perfect partner for POLYTROPOS. Map office plays an integral part in this project. They follow the intention of the project but are free to interpret as artists. As artistic directors of POLYTROPOS, Laurent Gutierrez and Valérie Portefaix will be in charge of the artistic (research) practice. They will hold a workshop for the scouts, who will be express instructed for the practical part of the project and and develop methods, strategies and games for POLYTROPOS that will be implemented at different districts in Hong Kong. Students from the Masterprogram Theater from the Zurich University of the Arts are brought together with students from the School of Design, Hong Kong Polytechnic University. In Workshops our participating 12 students will be instructed as scouts and send out in couples, so there is best guarantee for exchange and the probably most interesting views and observations to be expected when mapping the different districts of Hong Kong as a body of sound, as a play of colour, as an olfactory zone, as knots of power, as a collage of stories etc. Different guests will be invited to actively participate and contribute POLYTROPOS. The idea is to host guest from different fields. To have an active mobile museum, we would like to invite guests from HK for presentations, performances, concerts and events. The guests either know very well about the district and can tell stories about it or give detailed information on demography, infrastructure and other relevant topics for the urban research aspect, or they are well versed with the district as they have a very subjective connection to it. Also welcome are guests, who are interested in contributing to the discussion of the aspect of the future museum. Performers and musicians participating at selected locations of the mobile museum are invited to react to the content of our export, i.e. Dada and either improvise or bring a artistic or musical performance for the Dada-tent. The idea is to set up temporal event spaces for different artistic programs and also for the exchange of ideas. POLYTROPOS has a curatorial purpose, a cultural exchange mission. The mobile DADA-museum brings as device and trigger an avant-garde movement that started in Zurich to Hong Kong and opens several questions. On the hand: What does this export mean? What is a DADA export? Which consequences can be deduced by this gesture, performative act? On the other hand: What is the future museum, the future archive? How does it look like? What does mobility and migration mean in our times and how do mobility and migration effect museum cultures? How can we think and discuss a line of DADA, avant-garde, museum, archive, mobility, migration, exchange and transculturality? POLYTROPOS transfers, transmits, transacts cultural ideas and specificities by transporting a Swiss cultural heritage, the Cabaret Voltaire, the birthplace of DADA, to Hong Kong. What happens when we put our mobile museum on different territories and districts in Hong Kong? What exactliy is the act of interconnection, the linkage, the exchange? What does this concrete acts mean with respect to the content of the mobile museum: the DADA-movement, an avant-garde, that as movement implies became quickly global? And in how far do these questions asked within the frame of transculturality open up a wider discussion, i.e. the question concerning the concept(s) of museums, of archiving? The Cabaret Voltaire at Spiegelgasse 1 in Zurich is the birthplace of Dada. Here, Dada came into being on 5 February 1916 and emerged as a Zeitgeist that spread throughout the world to places as far afield as Barcelona, Berlin, Cologne, New York, Paris, Latin America, Japan and the Tyrol. But not Hong Kong! Dada absorbed all the avant-garde movements like Expressionism, Futurism and Cubism in existence at that time – and is a referential point for movements such as Surrealiosm, Lettrism, Situationism, Fluxus, Punk or even Xiamen Dada by Huang Yong Ping. Dada found many different forms of expression: Zurich witnessed the creation of the myth while art was revolutionised by the readymade in New York. Propaganda made Dada political in Berlin and in Paris provocation was driven to excess as a stylistic tool. Today the Cabaret Voltaire is significantly contributing to Zurich’s identity. Bringing Cabaret Voltaire to Hong Kong opens a broad discursive field. Its imagination- arsenal offers a wide range of activities and thematic fields. It can thus be said that bringing Cabaret Voltaire to Hong Kong is also an impulse, an initiative to talk and think about materialized utopias and their meanings for cities and men, to think about concepts of materialization and archiving, to initiate processes and create situations. Hayat Erdogan (*1981, Germany) holds an MA in German and English Literary Studies from the University of Stuttgart, and an MA in Theatre Dramaturgy from the Academy of Performing Arts in Ludwigsburg. Since 2002 she has been working as assistant, dramaturg, writer, researcher and translator in different theatre contexts. At present she is a research associate and lecturer in the Master in Theatre program at the Zurich University of the Arts and is preparing her PhD in Philosophy/Aesthetic Theories at the University of Applied Arts in Vienna. Jens Badura, Dr. habil. (*1972, Austria) studied Philosophy, Biology and Politics at the Universities of Constance, Innsbruck, Tübingen and Stuttgart and Cultural Management in Vienna. Since 1997 he has been visiting lecturer for Philosophy and Culture Theories at several universities in Austria, Germany and France. He has also been involved in multiple theatre- and performance-projects. He is a member of the Society for Artistic Research. He is head of the research field „Performative Praxis“, is in charge for the study program „Aesthetic Theorypraxis“ in the MA Fine Arts at the Departement Art and Media of the Zurich University of the Arts and is also visiting professor at the Art University in Graz. Kingdoms of Elgaland-Vargaland and head of the Fine Arts program at the School for Design in St. Gallen. Laurent Gutierrez (*1966, Morocco) is the co-founder of MAP Office. He is an Associate Professor at the School of Design, The Hong Kong Polytechnic University where he leads the following Master programs: Environment and Interior Design, Design Strategies as well as Urban Environments. In addition to his professorial position and artistic practice, Gutierrez is also the co-director of SD SPACE LAB. Valérie Portefaix (*1969, France) is the principal and co-founder of MAP Office. After receiving a Bachelor in Fine Art, and a Master of Architecture degree, she earned a Ph.D. in Urbanism. She is a Visiting Assistant Professor at the School of Design, The Hong Kong Polytechnic University.